OPEC’s share of global liquids output is expected to fall to its lowest level since late 1980s in the first part of the BP Outlook, which covers the period by 2040, Trend reports citing BP. In the Evolving transition (ET) scenario, total US liquids production accounts for the vast majority of the increase in global supplies out to 2030, driven by US tight oil and natural gas liquids (NGLs). "US tight oil increases by almost 6 million barrels per day (Mb/d) in the next 10 years, peaking at close to 10.5 Mb/d in the late 2020s, before falling back to around 8.5 Mb/d by 2040. The strong growth in US tight oil reinforces the US’s position as the world’s largest producer of liquid fuels," reads the report. As US tight oil declines, this space is filled by OPEC production, which more than accounts for the increase in liquid supplies in the final decade of the Outlook, according to BP. "The increase in OPEC production is aided by OPEC members responding to the increasing abundance of global oil resources by reforming their economies and reducing their dependency on oil, allowing them gradually to adopt a more competitive strategy of increasing their market share." 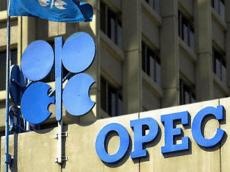 The stalling in OPEC production during the first part of the Outlook causes OPEC’s share of global liquids production to fall to its lowest level since the late 1980s before recovering towards the end of the Outlook, according to BP.